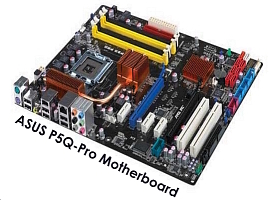 Who would bother building a computer when it’s easy to order one over the Internet or go to a local chain and buy one? Is it about saving money? In the beginning, there were two categories of builders: 1) a few enthusiasts who simply wanted to experience the challenge and thrill of putting together parts and creating a working computer; 2) Corporate professionals who needed specific designs to match their commercial needs. Today, the second category has diminished significantly because most corporate needs can be met successfully with out-of-the-box builds. But the first category has grown and is vibrantly alive with enthusiasts who build, “overclock” and push hardware to its limit, gather for meetings to demonstrate the capabilities of their boxes and compete just like teens did with cars during the 1950s. Some enthusiasts overclock their hardware to the point that the heat is so extreme they use anti-freeze or in some cases liquid nitrogen to cool the parts! When Mr. Edwards first began building computers, it was for the purpose of saving money. Those days diminished over a 2-3 year period as computers moved closer to the commodity price-point. The “out-of-the-box” period lasted for almost two decades. But as computers became homogenized, more people found they wanted something more than what production-line boxes had to offer. Publications and parts suppliers began to grow. Today there are worldwide competitions for building and many “regular” folks are finding they too can build a computer. In the sidebar, Mr. Edwards details some of his experiences in building computers both for himself and his employers. Below, details on his late 2008 computer build. Here is the component list for a high-performance, end-of-cycle build using over-clockable components -- meaning lower cost and high stability. The downside is the computer will be surpassed in capability within 2 years. But, when it is overclocked, it provides big “bang-for-the-buck” and a longer useful life. Looking now at my recent computer build, its hard to remember how different building a box used to be. And back then, they looked like plain boxes! I built my first computer in the early ‘80s by buying parts from the ads in the back of PC Magazine. In those days, building your own was the best way to obtain a computer if you couldn’t afford one. And buying one was expensive! An IBM PC with one floppy and a 10 Mb (yes, Megabyte, not Gigabyte) drive cost nearly $10,000! During the later ‘80s and early ‘90s there was no economic reason to build your own because quantity production reduced the purchase price to near the build cost. The only advantage for a brief time was to ensure the highest quality. So after 20 years, I returned to building my own computer. It is very rewarding to accomplish a high-quality build, which is far more difficult now because of the huge variety of parts available. And not all those parts are compatible. As one example, when I built boxes for Needham, there were only 2 or 3 motherboard manufacturers each of which had only two or three boards. Today there are half a dozen makers each of which has dozens of boards all with different specs and capabilities.